Mega Man Universe was supposed to be out this year on the PlayStation Network and Xbox Live Arcade. It won't be. Capcom, the game's developer, is shutting the title down and ceasing development. Mega Man Universe has been canned. In an official release, Capcom says the game is being canned for "various circumstances". 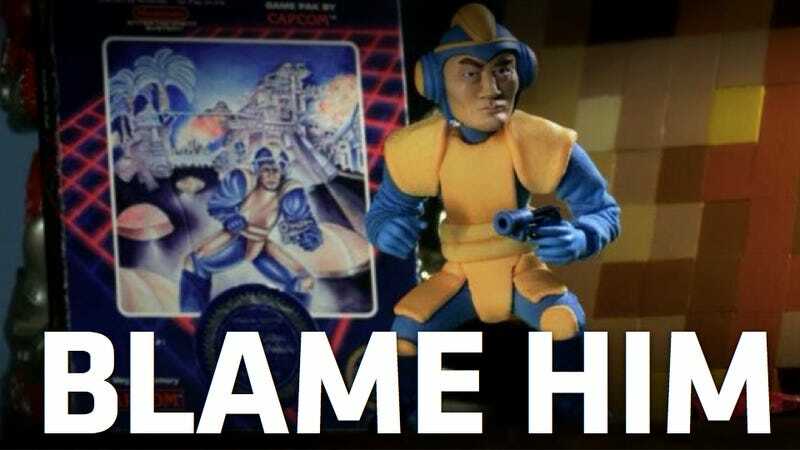 It is unclear if those circumstances are related to the Tohoku Earthquake or, rather, to the fact that the designer of Mega Man Universe, Keiji Inafune, left Capcom. Or even to the fact that the game had spaghetti-like controls. Capcom apologies in the release to those who were anticipating the title, as well as to those connected to the game. Inspired by Mega Man 2, Mega Man Universe was a 2.5D platformer and was first revealed last fall in a clever launch trailer created by I Am 8-Bit. The game featured various incarnations of Mega Man. In Japan, Mega Man is known as "Rockman", and this was to be the first Mega Man to use the character's Western moniker in its native Japan. Besides classic Mega Man play, the game also had a level editor in which players supposedly could create their own Mega Man stages.